About 65% of people worldwide suffer from some form of lactose intolerance, more so as they age. This number is not small, which is why we must know more about this condition and the outcomes. But lactose intolerance can sure be treated. Naturally. 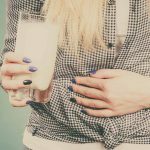 In this post, we’ll tell you about the natural treatment options and some wonderful tips to manage lactose intolerance. Just keep reading! This is an intolerance to lactose, which is the sugar in dairy products (like milk). Some individuals just don’t have enough lactase enzyme that are required to digest this sugar and become intolerant to milk and milk products. But being lactose intolerant does not mean that you are allergic to milk. 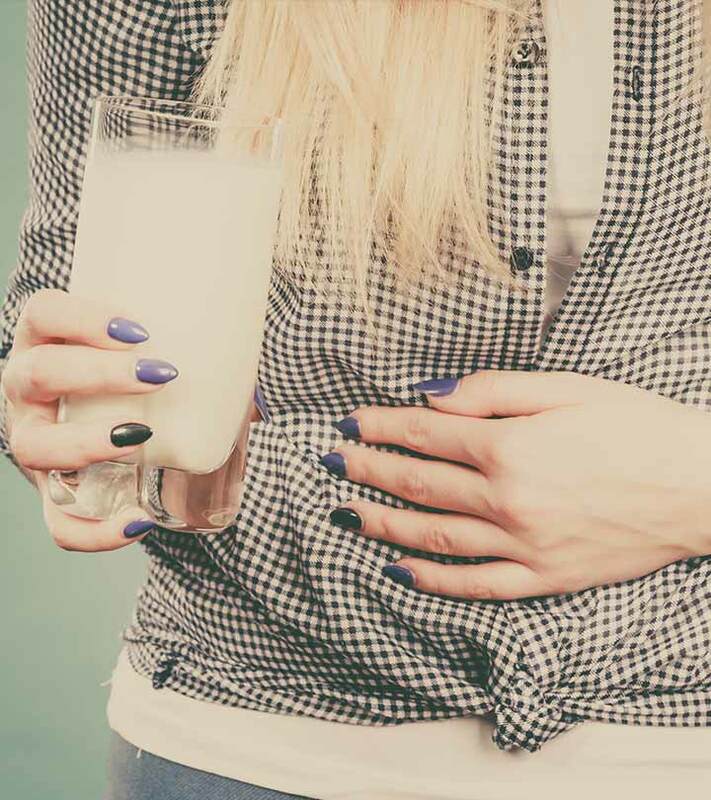 Lactose intolerance can manifest itself in the form of the following signs and symptoms. Lactose intolerance can be present at birth but usually occurs later in life as lactase enzymes become more depleted. Some people say that only infants and young children should drink milk and they have the enzymes to do so since these enzymes do diminish with age after about age 5. The condition has two different types, and the causes vary for each. The most common type of lactose intolerance, is caused by a decrease in the production of lactase in your body as you age – eventually leading to poor lactose absorption. Primary lactose intolerance can be partially caused by genetic factors because it is more prevalent in some populations than others. Surprisingly, Sweden’s population of lactose intolerant individuals is only about 4%. In the US, lactose intolerance varies by race with about 74% of African Americans, 87% of Indians, and 14% of Caucasians with some kind of inability to digest lactose. This type of lactose intolerance is more rare and usually short-lived. It may be caused by illnesses from a certain stomach bug or more serious conditions like Celiac disease. It can also result from the inflammation of your gut wall – as this temporarily reduces lactase production. Many individuals are unaware of being lactose intolerant until they get themselves tested. Following are a few diagnostic tests that will help. Lactose Tolerance Blood Test – It also involves observing your body’s reaction to high lactose levels. Two hours post consuming a high-lactose diet, your blood is measured for glucose levels. The glucose levels must ideally rise. Unchanged glucose levels indicate that your body is unable to digest a lactose diet. Hydrogen Breath Test – This test also requires you to consume a high lactose diet. Your doctor will check your breath at regular intervals for the amount of hydrogen released. For normal individuals, the amount of hydrogen released will be very low as compared to those who are lactose-intolerant. Stool Acidity Test – This test diagnoses lactose intolerance in infants and children. Undigested lactose gets fermented and produces lactic acid, which can be easily detected along with other acids in the stool sample. These tests will also help confirm if you are suffering from lactose intolerance alone or are allergic to dairy as well. There is some confusion between the two, which is what we have addressed in the next section. These terms may sound similar, but there are differences. It is caused by the lack of the lactase enzyme responsible for digesting milk sugar (lactose). Lactose intolerance can develop at any stage of your life. It can also be caused by faulty genes or an infected and damaged small intestine. Occurs naturally with age and is more common in the older lot. It is more common in certain populations than the others. See demographics above. It is caused by an allergy to milk proteins – mostly casein. It usually develops in the early stages of one’s life. It is a result of a malfunctioning immune system that attacks milk proteins. Milk allergy is more common in infants and children but may surface at other ages as well. It is the most common type of food allergy among children. Now that you know the differences, let’s look at the foods that may aggravate lactose intolerance. Dry-curd cottage cheese, Gruyère, Havarti, Manchego, Provolone, and Swiss cheese. Most of these foods are rich in calcium, so avoiding them can mean lowering your calcium intake. Hence, you must supplement calcium in your diet by finding substitutes for dairy products. The following foods can ensure you get enough calcium in your diet, without causing complications. 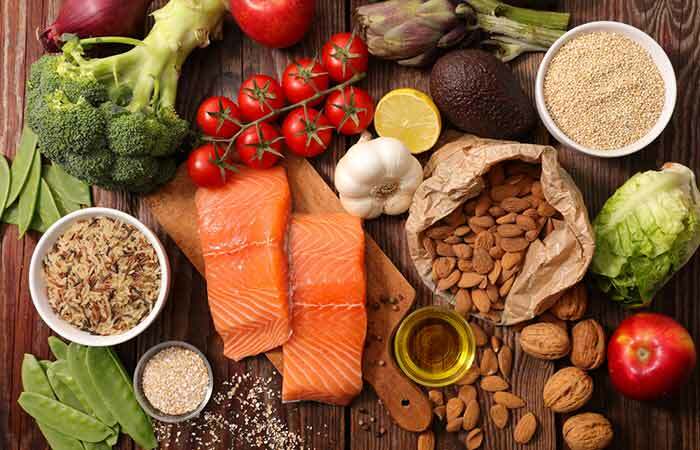 Once you fix your diet, you can start following natural remedies that help treat your condition. Individuals with lactose intolerance are often deficient in vitamins B12 and D (1), (2). Hence, you must obtain these vitamins from sources other than dairy. 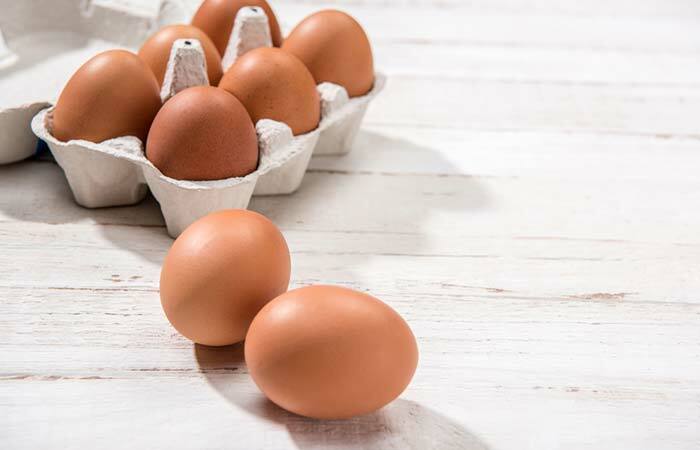 Foods rich in these vitamins include fatty fish, fortified orange juice, soy milk, egg yolks, and poultry. You can also take additional supplements, after consulting a doctor. Mix a tablespoon of apple cider vinegar in a glass of warm water. 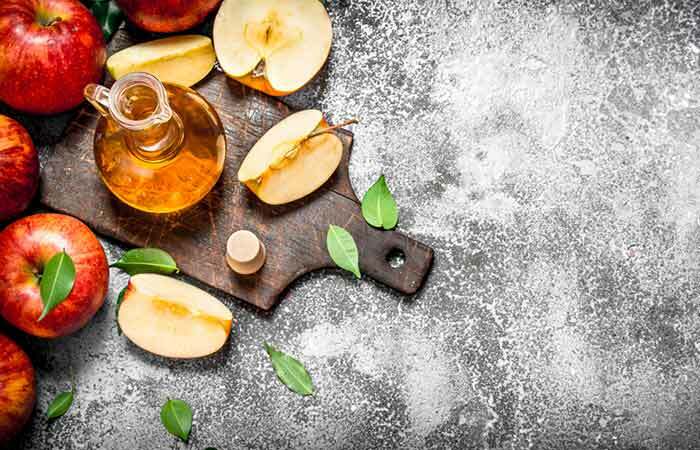 Apple cider vinegar turns alkaline once it enters your stomach and neutralizes the stomach acids, aiding digestion of dairy sugar. This helps prevent symptoms like gas, bloating, and nausea. 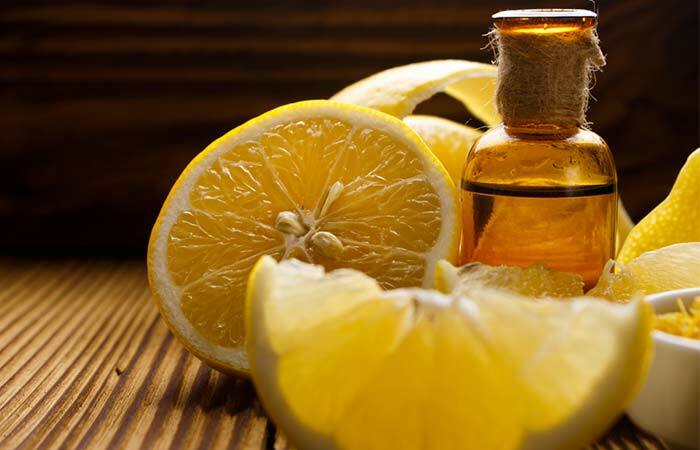 Add a drop of lemon essential oil to a glass of cold water. Lemon essential oil aids digestion by neutralizing stomach acids, thereby relieving digestive problems caused by lactose intolerance (3). Mix a drop of peppermint oil in a glass of water. 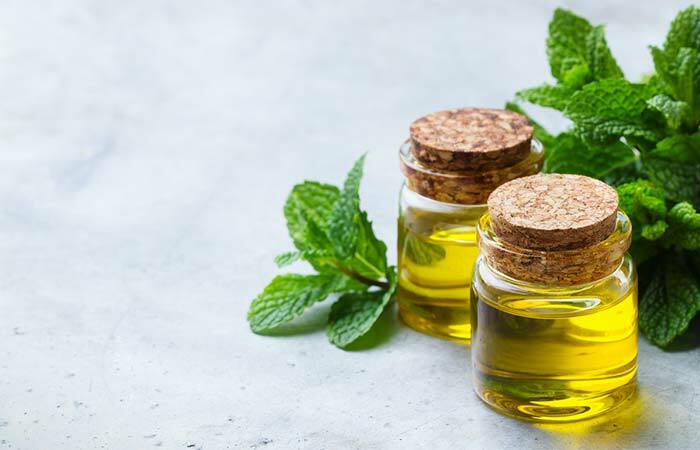 Peppermint oil soothes your digestive functions. It aids digestion and relieves bloating and gas (4). Either hard boil two eggs or cook them in any other preferred way. You must consume 2 eggs daily. Avoiding dairy products can lead to a deficiency of calcium and vitamins D and B12. Consuming eggs daily can compensate for this (5), (6). 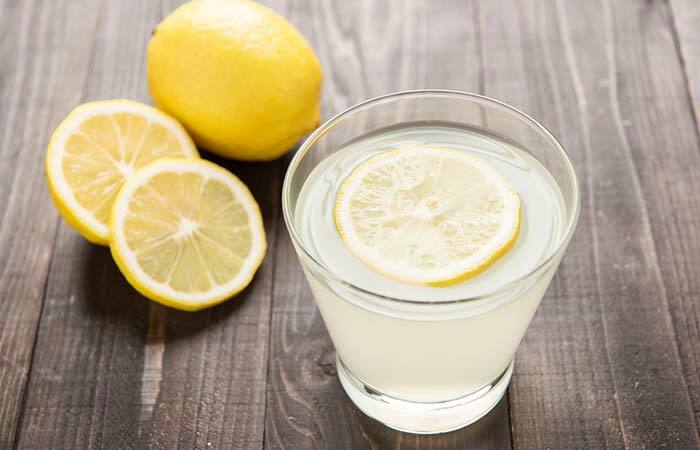 Add the juice of half a lemon to a glass of water. Mix well and add honey. Lemon juice, though acidic, turns alkaline once metabolized. This action has a neutralizing effect on stomach acids, alleviating gas, bloating, and nausea (7). 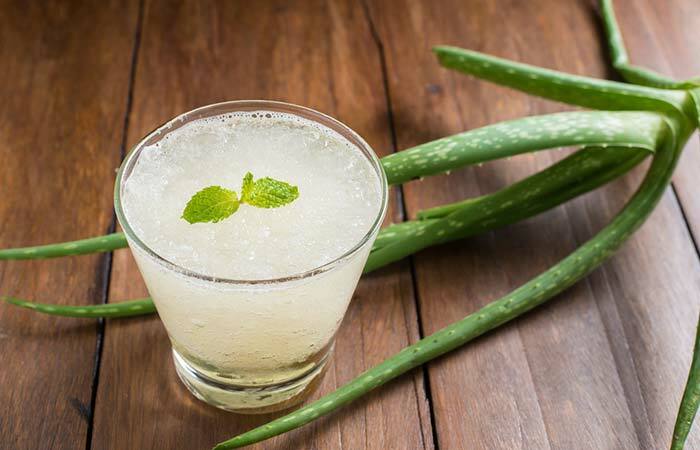 Consume half a cup of fresh aloe vera juice daily. Aloe’s anti-inflammatory properties help soothe your disturbed stomach. Aloe vera also restores your stomach’s pH balance, thanks to its magnesium lactate composition (9). Consume a glass of kombucha daily. You can either drink store-bought kombucha or make kombucha tea at home (you just have to steep the tea bags in hot water). 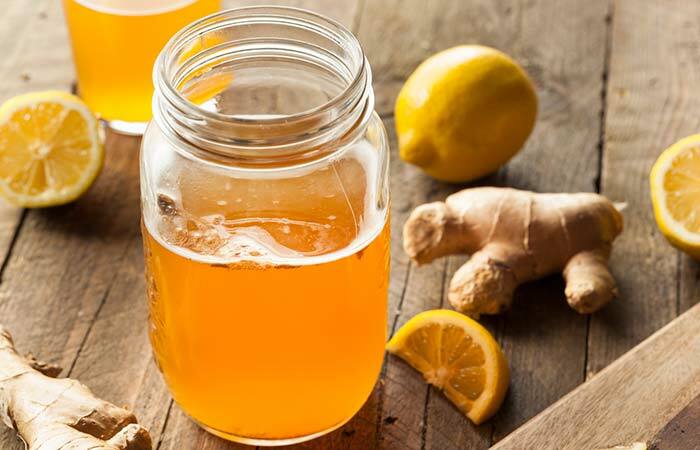 The probiotics in kombucha (fermented black or green tea) restore the healthy gut flora that supports gut functioning. It also has a beneficial role to play in relieving symptoms of indigestion associated with metabolic disorders like lactose intolerance (9), (10). Consume a cup of kefir water (dairy-free). Kefir is one of the richest sources of probiotics. As discussed, probiotics aid digestion of lactose and enhance gut health in a powerful way (11). Kefir can be made from dairy but the bacterial culture used to make kefir helps digest lactose. 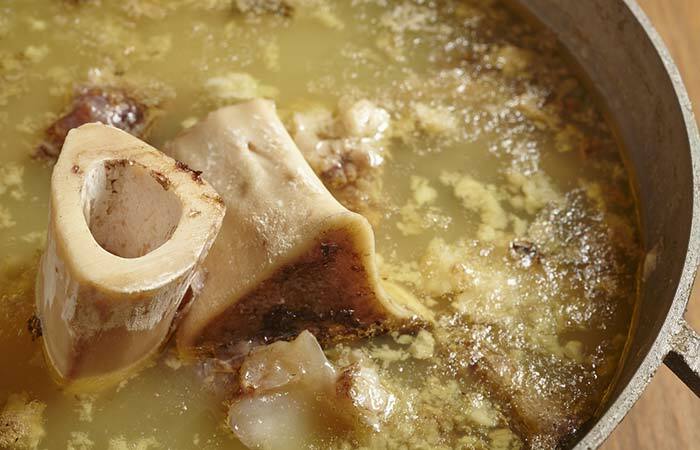 Consume 8 to 12 ounces of freshly prepared bone broth. You must drink this once daily as a part of your diet. Bone broth contains calcium, which is a nutrient lactose intolerant individuals could be deficient in. 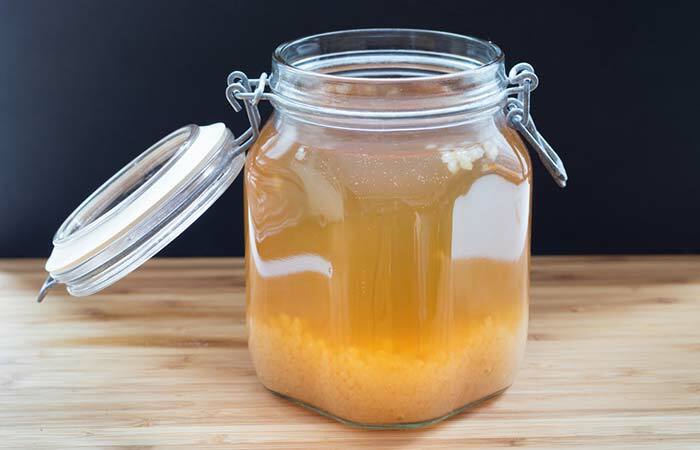 Bone broth also contains gelatin and collagen that helps your gut handle lactose better (12). Replace butter with coconut oil in your diet. 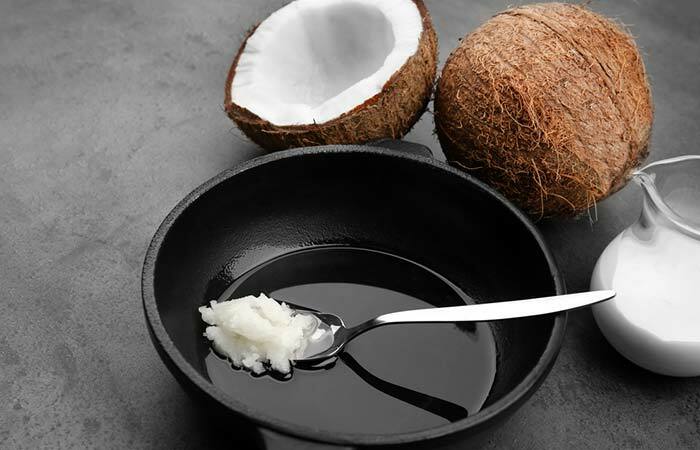 Coconut oil is dairy-free and makes for a perfect lactose-free diet. Regular intake of coconut oil soothes your stomach as well (13), (14). Consume lactase enzyme supplements after consulting your doctor. Take the supplements as per the directions provided by your physician. Lactase enzyme supplement facilitates the absorption of calcium in those with lactose intolerance (15). Consume it based on your doctor’s recommendation. Lactaid milk helps to make up for lactase deficiency often brought about by lactose intolerance and aids the absorption of calcium. These remedies can help you manage lactose intolerance rather easily. Don’t fail to try them out. Although this condition cannot be prevented, it can be treated easily with proper care and diet. How did you like this article? Tell us in the comments below. What kind of milk is good for lactose intolerance? If you are intolerant to lactose, you can replace dairy with lactose-free milk such as soy milk, almond milk, rice milk, or Lactaid milk, which is milk supplemented with lactase enzymes. How is the body affected by lactose intolerance? Symptoms of lactose intolerance surface when the cells in the small intestine do not produce enough enzymes to break down lactose. As a result, lactose is not absorbed by the body. Instead, it moves into the large intestine, where it is fermented by bacteria, leading to gas and bloating. It may take anywhere between 10 days to 3 weeks to get any dairy protein out of your system. Post this, your symptoms will cease on their own. Can you eat pizza and chocolate if you are lactose intolerant? Both pizza and milk chocolate contain lactose. Even though cheese is easy to digest, individuals with a severe intolerance to lactose must steer clear of these foods. How much quantity of milk is good for the lactose intolerant? Lactose intolerant individuals can tolerate up to 1 cup of milk (12 grams of lactose). However, this is specific to the individual. One has to begin with a small amount and gradually work it up if they don’t see any side effects. Also, you should only eat or drink dairy products every 3 days so you don’t build up further intolerance.